We, the Catholic Christian Community of Our Lady of Lourdes in Queens Village, united as disciples of Jesus under the patronage of Mary, being blessed with our rich diversity, seek to be guided by love, supported by prayer, strengthened by faith and encouraged by God’s trust in us. We are a giving family who hope through our personal relationship with God to advance in the teachings of Jesus Christ by our service to others, with the goal of fostering a greater understanding of the Gospel, and the eagerness to live it. 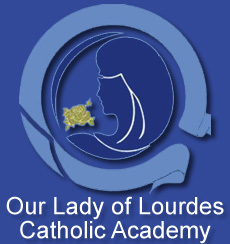 Read Our Lady of Lourdes’ bulletin online. Click below for fullscreen. Hit the ‘Esc’ key to return to site. Lee el boletín de Nuestra Señora de Lourdes. Haga clic abajo para pantalla completa. Presione la tecla ‘Esc’ para regresar al sitio. Click here for a downloadable archive of past bulletins.